Thoughtful Minds Web Services Company is a registered IT Company in Jaipur with offices in US and Germany. We are Php based website design and development company in Jaipur, India with specialization in content writing and digital marketing services in India. The company is offering content writing and SEO and SMO services for more than 11 years. In addition, we are leaders in Business Promotion of all kinds. The company offers the complete range of online solutions for all sized companies. A true example of knowledge, responsiveness and real talent. It is his responsive nature that is his key to success. 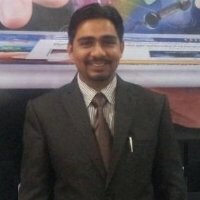 He is the Director of Thoughtful Minds and SEO Content Online, established on 26th March 2006. He was the first one to initiate the company that deal solely with the writing services. He took his career towards growth and success by grooming the business. Today his companies are the best in terms of its services of writing and web designing. He drove the companies to remarkable heights with the growth in all terms. With his assiduous efforts, he put the sketch of Thoughtful Minds and SEO Content Online to veracity. Before his venture of Thoughtful Minds and SEO Content Online he worked in Germany for few years for Natural Stone Industry. During his work period he also visited countries like France, Austria, Russia and China in order to understand the work culture over there. So had the international exposure that teamed out to be best with his hard work. He had personifying quality of leadership along with the “we” concept. His perception of “we” instead of “me” had smoothened his way of success. He pioneer in terms of 24X7 support and thus had pivotal role attaining his mission to make him grow in terms of victory. What make him apart from others is the timeliness, customer support, timely delivery and so on. An immense knowledge of management techniques makes him comfortable with all alterations and business modifications. This is how he is best distinguished by his awe-inspiring work.